Tags are essentially the ability to apply an attribute to an entity, or record, so it can be identified by this at a later stage in a search or report. 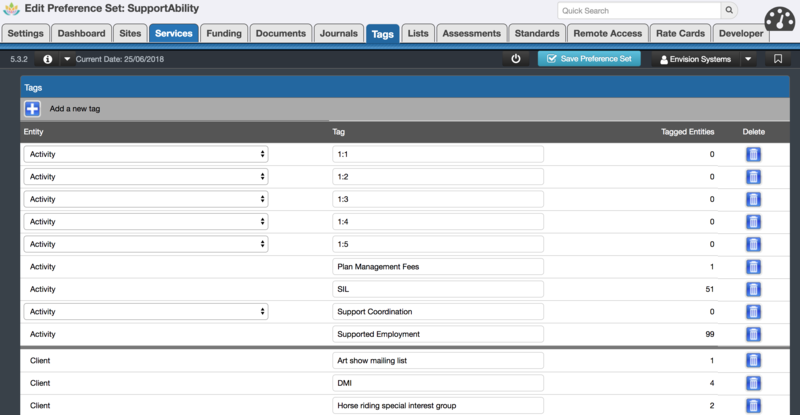 Various 'Tags' can be created to assist identifying and group records in SupportAbility. Which entities can Tags be created for? Tags can be created in System Preferences for the entities your organisation wishes Staff to be able to apply them to i.e. Clients, Client Contacts, Client Funding, Staff, Activities etc. Please note that anyone who can create Tags, that is any Staff member who has the 'Edit System Preferences' Staff Account Privilege, can also delete Tags. Simply navigate to System Preferences::Tags and click on the rubbish bin icon next to the relevant Tag. 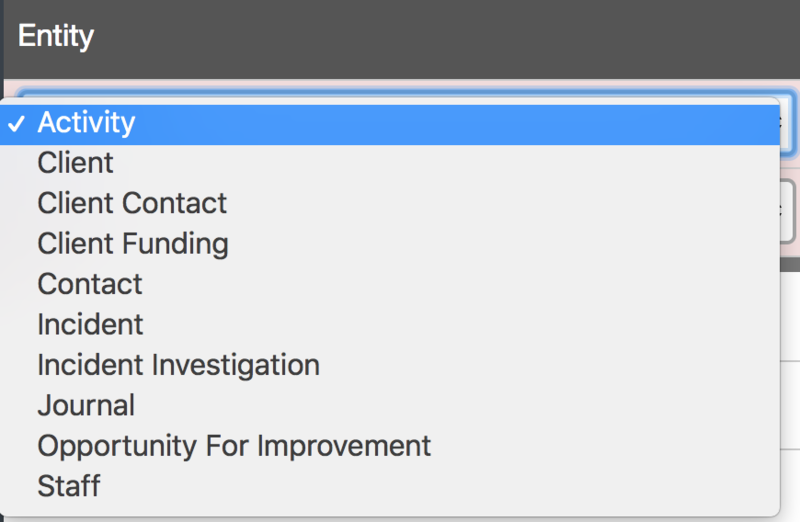 The Tag will no longer appear in the drop-down list as an option in the Tag field associated with the related Entity e.g Client as per our example. This Tag will be removed from any related records where it had previously been selected. This Tag will no longer be available for selection when filtering Searches or Reports by Tags, thus historical records of this Tag will be lost. Therefore if your organisation wishes to retain the historical information around Tags we would recommend retaining the Tag but changing the name of the Tag in System Preferences to indicate that Staff should no longer select it as an option. For example by adding a prefix to the name such as 'NOT IN USE' or whatever would work for your organisation. We also recommend that the number of people in the organisation who have access to Editing System Preferences, and manage the various Tag clouds be limited, due to the changes deleting a Tag will result in.